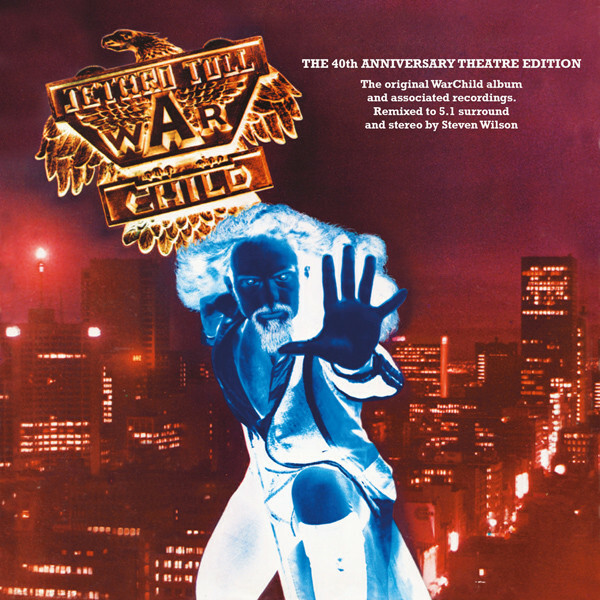 OS ANGELES – In 1974, Jethro Tull announced plans for WarChild, a multi-faceted project that was to encompass a feature-length film, a soundtrack album, as well a new album from the band. 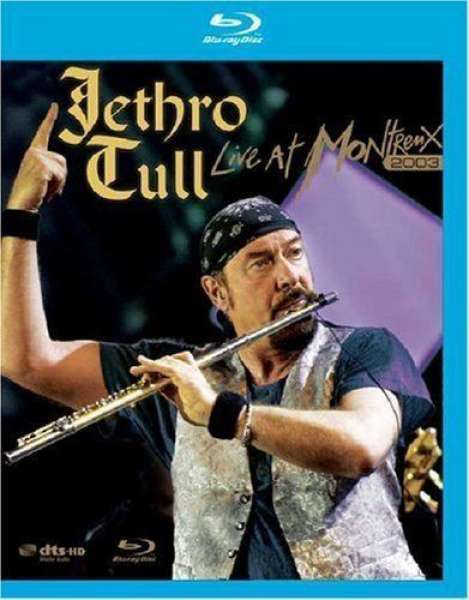 In October of that year, Tull released a 10-song album that would climb to #2 in the U.S. and the top 15 in the U.K., but the film and accompanying soundtrack were shelved. To commemorate the 40-year anniversary of this ambitious experiment, Parlophone will revisit WarChild with several releases. – Original album and bonus tracks (three previously unreleased), remixed in 5.1 surround and stereo by Steven Wilson. – 10 orchestral pieces (nine previously unreleased) written for the film’s soundtrack, 4 of which are remixed in 5.1 surround and stereo by Steven Wilson. – Flat transfers of the original LP mix at 96/24, and the quadrophonic version (with 2 bonus tracks) in 4.0. – “The Third Hoorah” promo footage, and footage from a January 1974 photo session/press conference where the WarChild project was announced. – An 80-page booklet featuring an extensive history of the project, a film script synopsis, track-by-track annotations by Ian Anderson, plus rare and unseen photographs. Jethro Tull is one of the most successful British acts of all time with a career reaching from the late sixties to the present day. In 2003 they made their first (and so far, only) visit to the Montreux Festival. Split into a semi-acoustic first half and a full on electric second half, the concert was a triumph combining newer songs such as “Dot Com”, “Pavane” and “Budapest” with classic favorites. As ever Ian Anderson leads from the front with his instantly recognizable voice and inimitable style of one-legged flute playing. 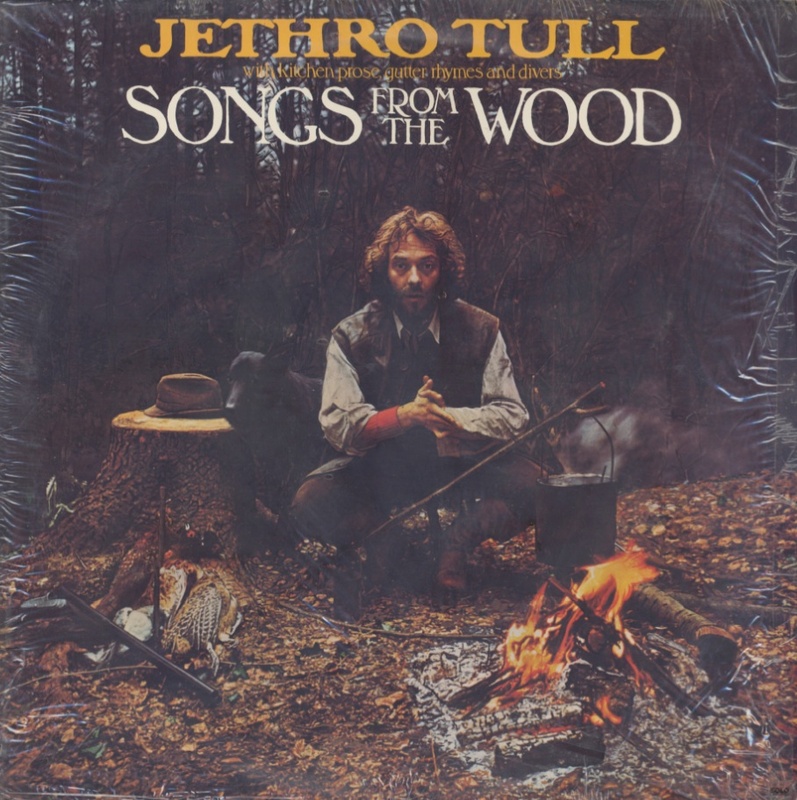 SONGS FROM THE WOOD, from 1977, is one of my favourite Jethro Tull discs, and represents a brilliant return to form, after the previous year’s disappointing TOO OLD TO ROCK AND ROLL. Singer/songwriter Ian Anderson, in keeping with the recording’s title, revels in his folkier side here, with terrific, spot-on accompaniment from his band (comprised of Martin Barre on guitar and lute, John Evans on keyboards, Barriemore Barlow on drums and percussion, and John Glascock on bass and backing vocals). Additional keyboards and “portative organ” are provided by frequent collaborator David Palmer, who eschews his polished orchestral arrangements this time out, to further reinforce the session’s “rootsy” atmosphere. The tracks that follow ably live up to the promise of the excellent opener: “Jack-in-the-Green,” concerns a diminutive woodland sprite who “drinks from the empty acorn cup” and tirelessly works to bring in the green of summer, even in “changing times” of “motorways (and) powerlines.” The multi-talented Anderson, somewhat of a Jack-in-the-Green himself, plays all instruments on this quaint little ditty, including guitar, bass, flute and percussion. The next number, the harder-rocking “Hunting Girl,” is one of the spicier offerings on the menu, and is generously seasoned with delightful dollops of Barre’s chainsaw guitar. Fans of the heavier side of Tull will especially enjoy this musical entree, which wittily tells the risque tale of an impromtu amorous encounter between a “high-born hunting girl” and “a normal local so-and-so.” Very hot! “Ring Out, Solstice Bells” is a celebratory song (it’s collected on the new Jethro Tull Christmas CD) that hails the arrival of the winter solstice, when the hours of daylight begin to wax, and the dark, chilly days of the season are on the wane. This would be an excellent choice to add extra cheer to your next festive gathering or compilation! The sixth song, “Velvet Green,” is also quite tasty, with particularly good drumming from Barlow, and healthy leavenings of rhythmic organ and “singing” lead from Evans and Barre, respectively. This is another wonderfully diverse musical melange; at times quasi-medieval in flavour — at others herbacious and folky. The lyrics detail the myriad pleasures to be found in strolling — and rolling — in loving company “on the green.” A classic Tull cut! Lucky number seven, “The Whistler,” is a very catchy tune, which, as the album’s single, garnered the band some well-deserved (and long overdue) airplay in the year of its release. The song masterfully combines Celtic and rock flavourings, via flute and guitar, in a tidy, three-and-a-half minute format. It’s a savoury aperitif which whets the appetite for the next course! At nearly nine minutes, “Pibroch (Cap in Hand)” is the longest track on the album, and, for my tastes, the least satisfying. By no means a “bad” song, the relatively heavy “Pibroch” has some great guitar, but suffers somewhat from being just a tad over-extended and rambling, and risks leaving the (by now almost sated) listener with a “bloated” feel. 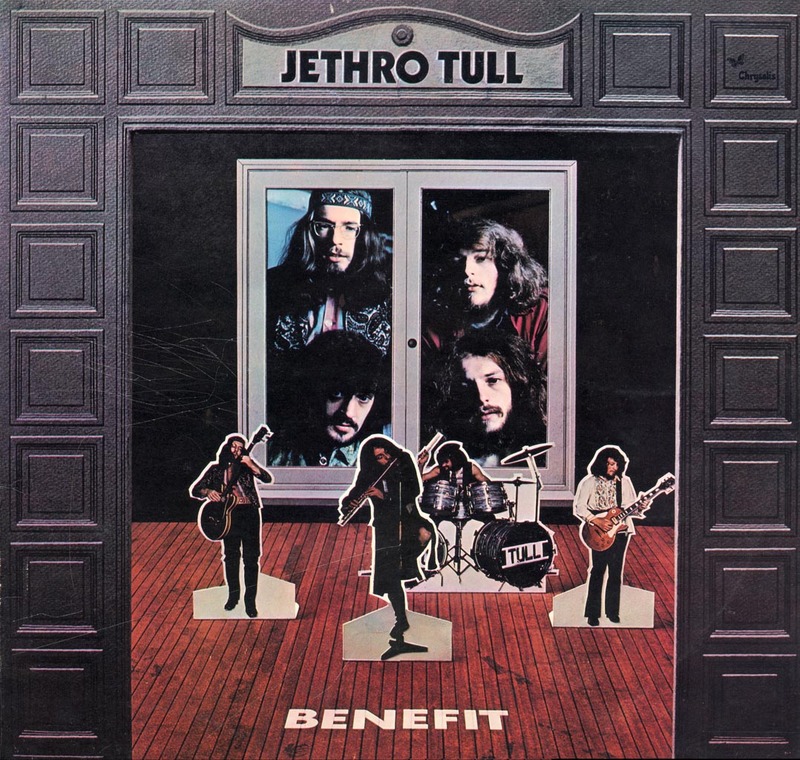 Before writing this review, I considered giving this CD only four stars, but upon revisiting it as I write, I can only conclude that SONGS FROM THE WOOD is one of Jethro Tull’s more noteworthy and successful efforts, and thus award it top marks. Highly recommended to all confirmed and would-be Tull fans! Please, don’t hesitate to take a walk in the WOOD! There’s nothing to fear, and the rewards are piquant and many-splendoured! 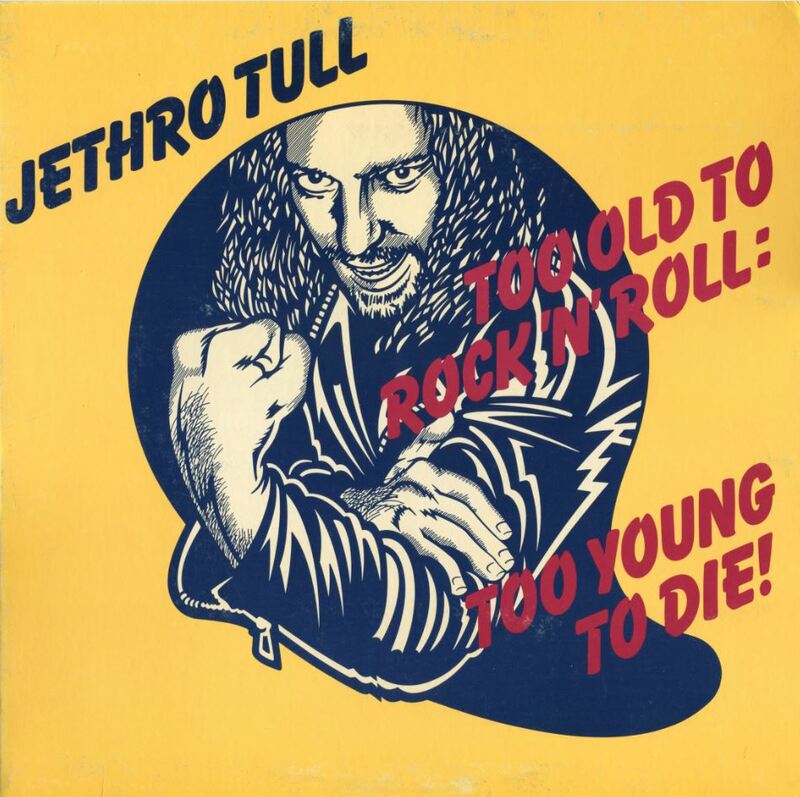 Too Old to Rock ‘n’ Roll: Too Young to Die! 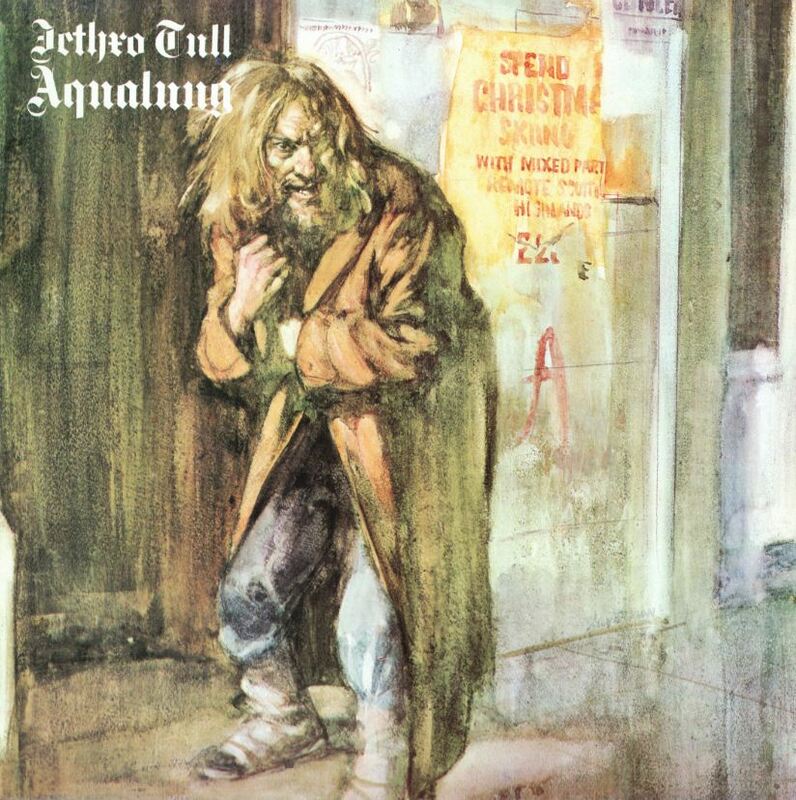 (1976) is the ninth studio album released by British band Jethro Tull. It is widely considered a concept album. 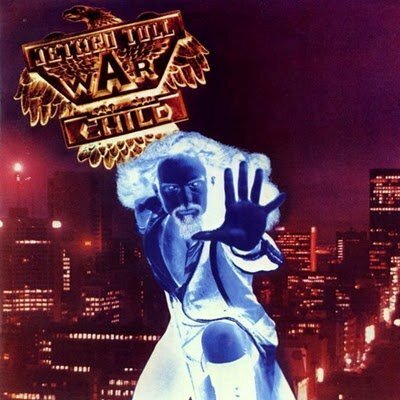 This is the first Tull album to feature John Glascock on bass and backing vocals. The original idea for the album was to be a rock musical, similar to the Kinks’ mid-1970s outputs e.g., Preservation Act 1 (1973), Preservation Act 2 (1974) and Schoolboys in Disgrace (1975). It would follow an ageing and retired rock star named Ray Lomas as he wins money on a decadent quiz show, but finds that society has changed so much that, with no one left like him any more, he has no way of enjoying his money the way he did in the 1950s. He then decides to commit suicide via motorcycle crash but fails and lands himself in a hospital in a coma for an undetermined amount of time. When he awakes he discovers society has changed again, and his style of dress and music are now popular again. In addition, the advanced medicine he is treated with after disfiguring his face and damaging his body in the crash makes him twenty years younger. He has become an overnight sensation with the young kids who now try to dress and act like him. However, much of this story is only explained in a cartoon strip included with the album. 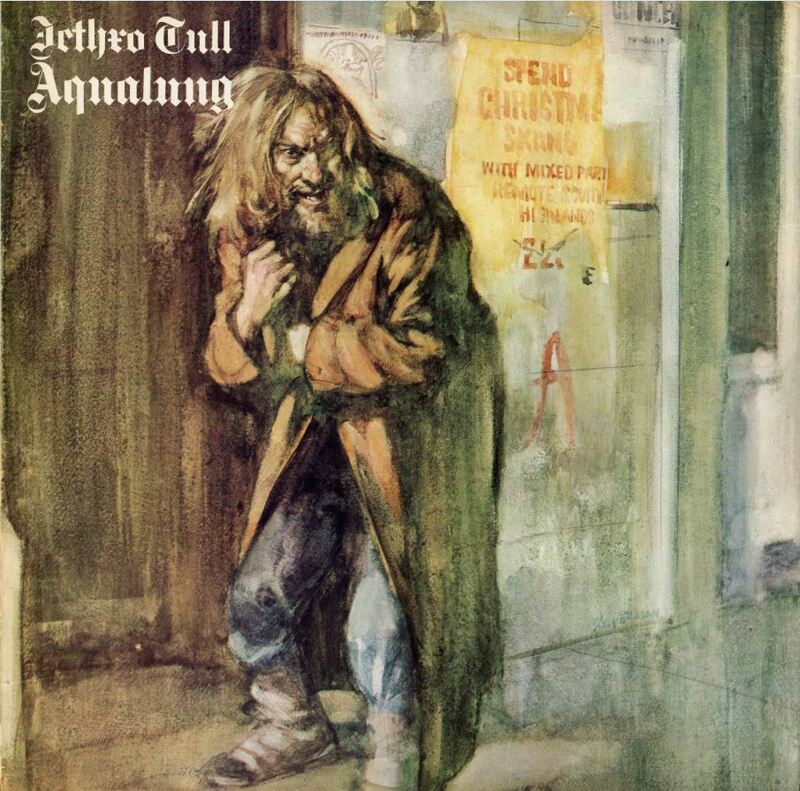 Jethro Tull frontman Ian Anderson has always said this album was not meant to be autobiographical of him as an ageing songwriter, since he was young at the time. He says the point of the album was to illustrate how his style of music may go out of popularity with every other fashion and fad, but he is determined that if he sticks to it, everything comes back around and the style will rise again. 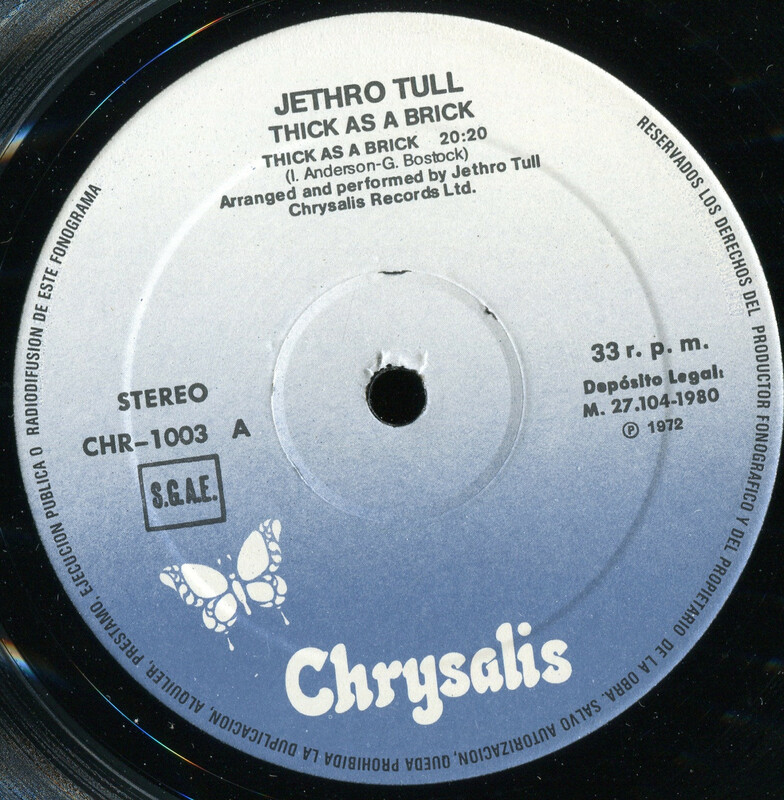 Thick as a Brick is the fifth studio album by the English progressive rock band Jethro Tull. Released in 1972, the album includes only one song, the title track, which spans the entire album. 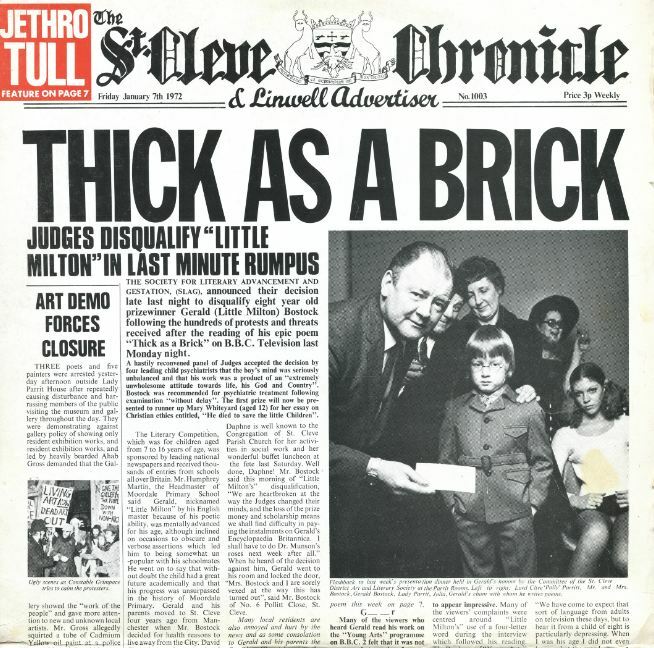 Thick as a Brick was deliberately crafted in the style of a concept album (and as a “bombastic” and “over the top” parody. The original packaging, designed like a newspaper, claims the album to be a musical adaptation of an epic poem by a (fictional) 8-year-old boy, though the lyrics were actually written by the band’s frontman, Ian Anderson. Thick as a Brick was Jethro Tull’s first deep progressive rock offering, coming four years after the release of their first album. 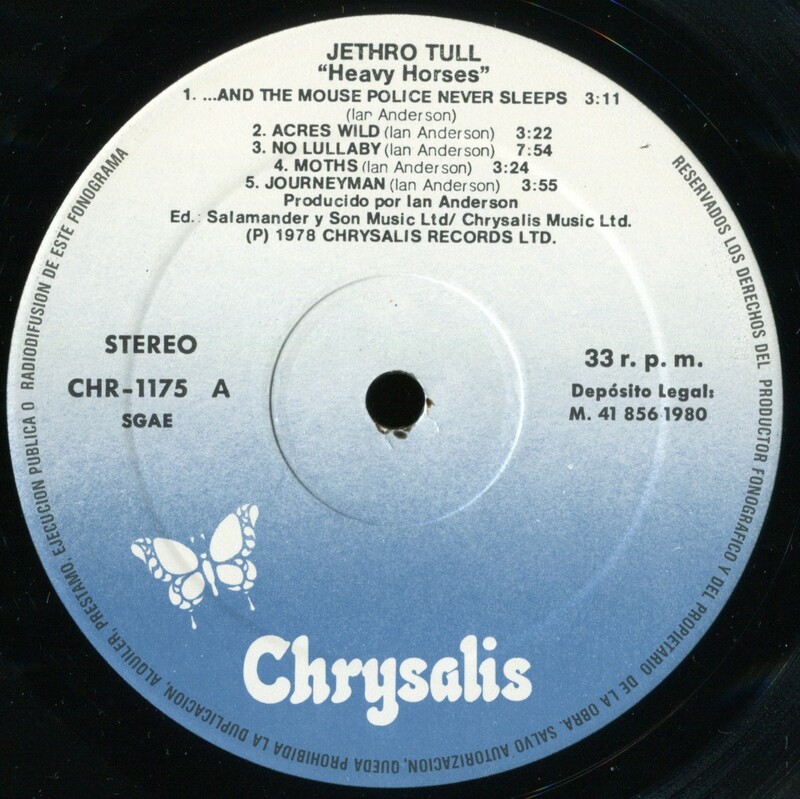 The epic album is notable for its many musical themes, time signature changes and tempo shifts—all of which were features of the progressive rock scene which was emerging at the time. In addition, the instrumentation includes harpsichord, xylophone, timpani, violin, lute, trumpet, saxophone, and a string section—all uncommon in blues-based rock. 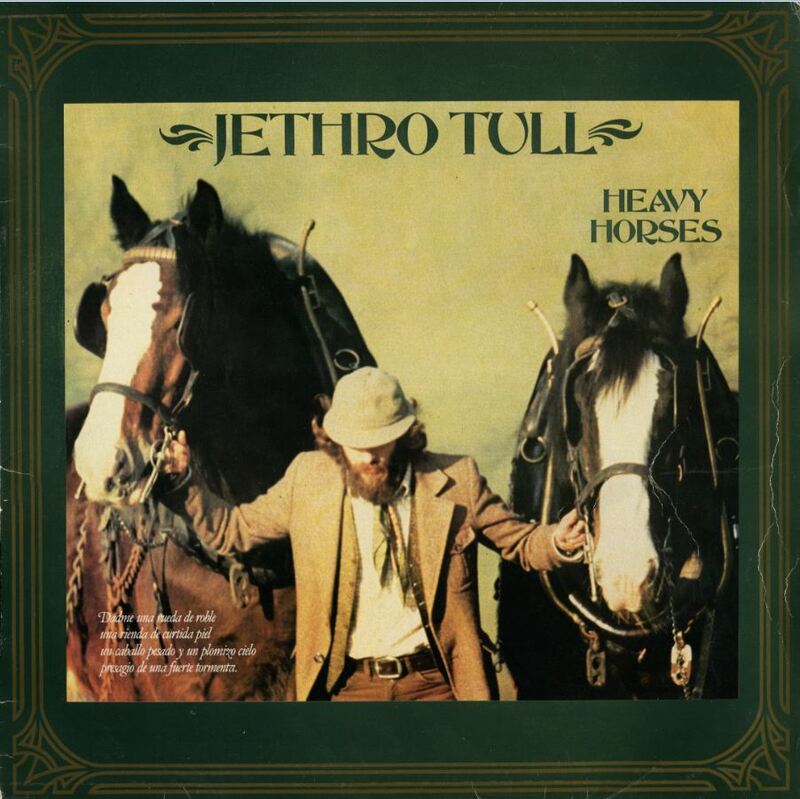 Heavy Horses is the eleventh studio album by Jethro Tull, released on 10 April 1978. 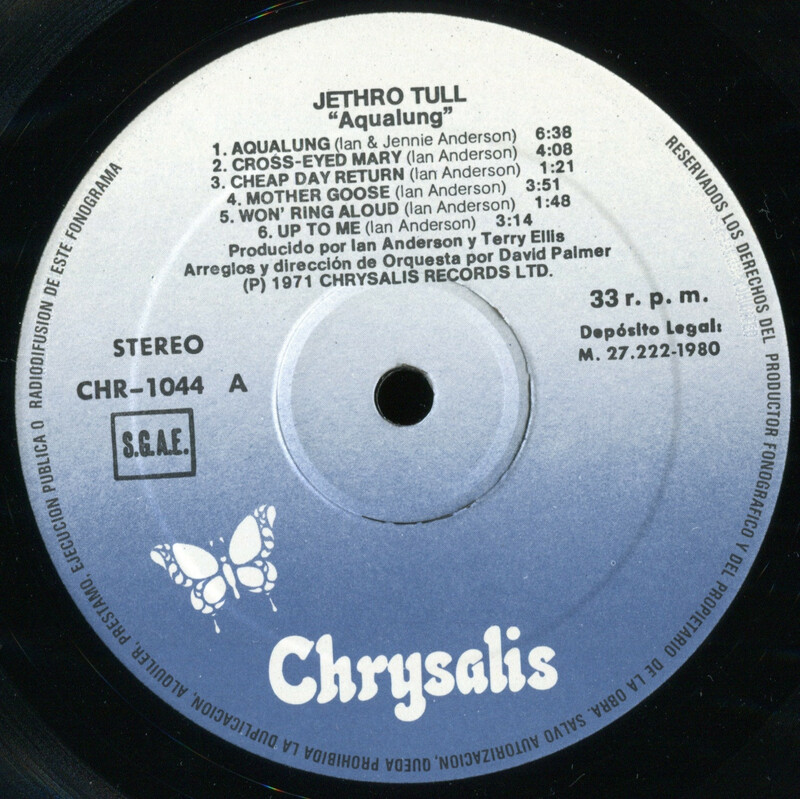 It is considered the second album in a trilogy of folk-rock albums by Jethro Tull, although folk music’s influence is evident on a great number of Jethro Tull releases. The album abandons much of the folk lyrical content typical of the previous studio album, Songs from the Wood, in exchange for a more realist perspective on the changing world. Likewise, the band sound is harder and tighter. This album was the last studio album to feature John Glascock playing bass on all tracks. 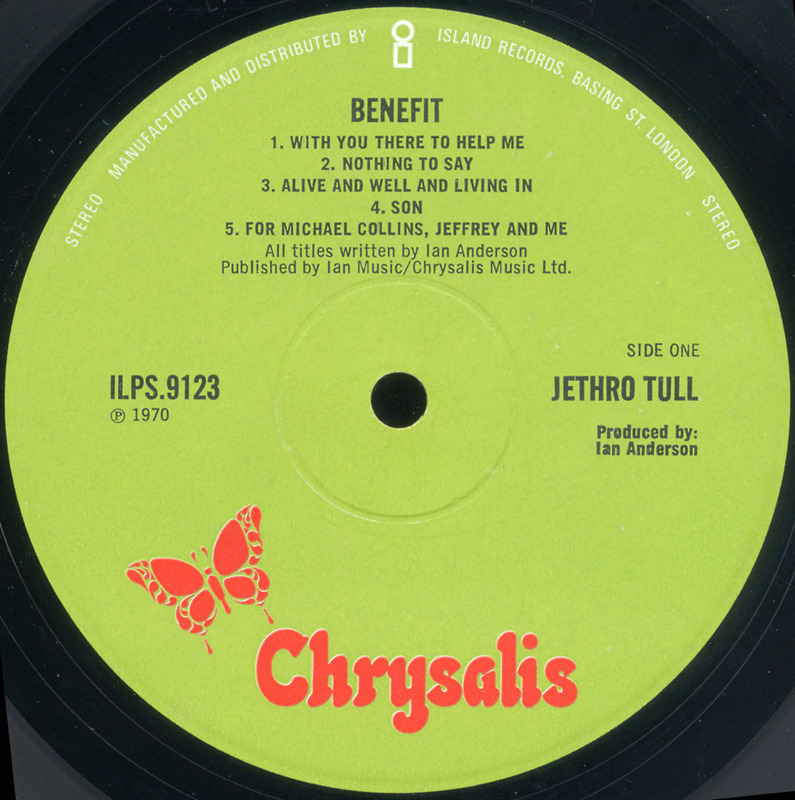 Benefit was the album on which the Jethro Tull sound solidified around folk music, abandoning blues entirely. Beginning with the opening number, “With You There to Help Me,” Anderson adopts his now-familiar, slightly mournful folksinger/sage persona, with a rather sardonic outlook on life and the world; his acoustic guitar carries the melody, joined by Martin Barre’s electric instrument for the crescendos. 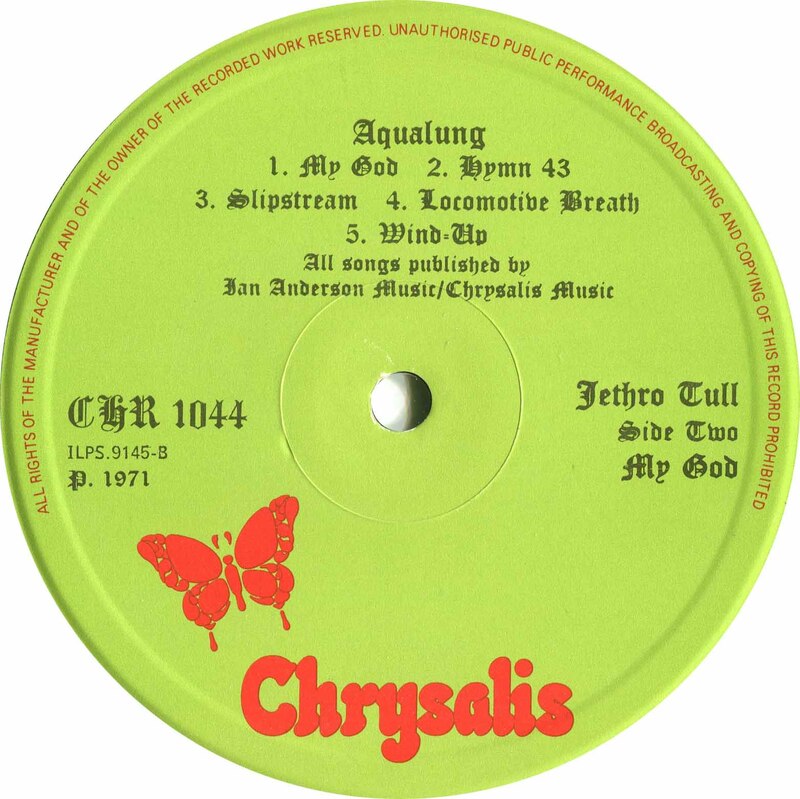 This would be the model for much of the material on Aqualung and especially Thick as a Brick, although the acoustic/electric pairing would be executed more effectively on those albums. Here the acoustic and electric instruments are merged somewhat better than they were on Stand Up, and as needed, the electric guitars carry the melodies better than on previous albums. Most of the songs on Benefit display pleasant, delectably folk-like melodies attached to downbeat, slightly gloomy, but dazzlingly complex lyrics, with Barre’s guitar adding enough wattage to keep the hard rock listeners very interested. “To Cry You a Song,” “Son,” and “For Michael Collins, Jeffrey and Me” all defined Tull’s future sound: Barre’s amp cranked up to ten (especially on “Son”), coming in above Anderson’s acoustic strumming, a few unexpected changes in tempo, and Anderson spouting lyrics filled with dense, seemingly profound imagery and statements. As on Stand Up, the group was still officially a quartet, with future member John Evan (whose John Evan Band had become the nucleus of Jethro Tull two years before) appearing as a guest on keyboards; his classical training proved essential to the expanding of the group’s sound on the three albums to come. Bruce Eder, allmusic.